The history of the department revolves around certain leadership personalities who saw to it affairs. These are Mr. N. Akpan who was the pioneer Lecturer in-charge; Mr. Nwanakama who came after him as Lecturer in-charge and Professor Yesufu who oversaw the department from his Department of English. Professor A. Uba handled the department briefly from the Guidance and Counseling Unit, before Mr. J. Aghahowa came on board as Acting Head of Department. He handed over to Professor O.B.C. Nwolise who became the first substantive Head of the Department from January 15, 2008 and was succeeded in 2009 by Dr. Joseph Aihie in who handed-over the baton to the incumbent, Dr. Femi Olufunmilade in August 2011. 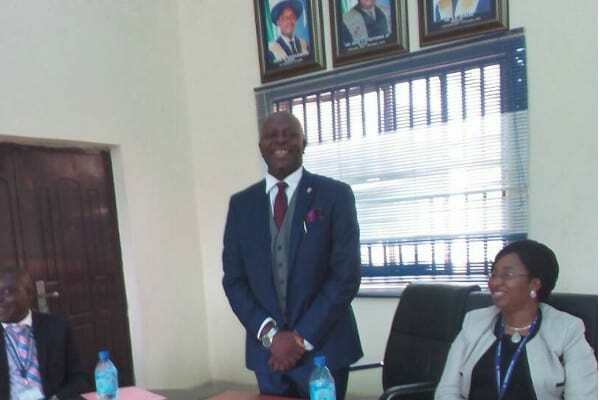 The department got its full accreditation from the National UniversityCommission (NUC), for the first time, under the leadership of Dr. Olufunmilade. Since January 2008, the department commenced a process of transformation and expansion from ‘International Relations’ to ‘International Relations and Strategic Studies’. The essence is to enable the University be part of the pioneering processing of Africa for the advancement of strategic thought (which is currently very low in the continent) for better governance and catalyzed development to make Africa relevant in 21st century world affairs. In pursuit of this, the department undergraduate courses have been expanded. Also, the department has a comprehensive postgraduate programme with academic professional components, which enables it to offer academic M.Sc., and PhD Political Science (International Relations specialization) in conjunction with a sister department – Political Science and Public Administration – since it has requisite staff germane for that.